One of the best movies of the year Disney Pixar Brave is being released on DVD this week. The story of Princess Merida – a new type of Disney Princess who does not just accept that she does not have control over her own destiny. This Disney Princess is certainly not waiting for a Prince to save her! The Brave (Five-Disc Ultimate Collector’s Edition: Blu-ray 3D / Blu-ray / DVD + Digital Copy) is a steal of a deal at just $24.99 (list price is $39.99). We have seen Brave 3 times at the movies and last night we watched it at home on the new Blu ray DVD. When you watch it at the movies you are just stunned by the colors and detail on the screen. And you will be captivated when you watch Disney Pixar Brave at home on DVD as well. It looks, well, stunning, is the only word. 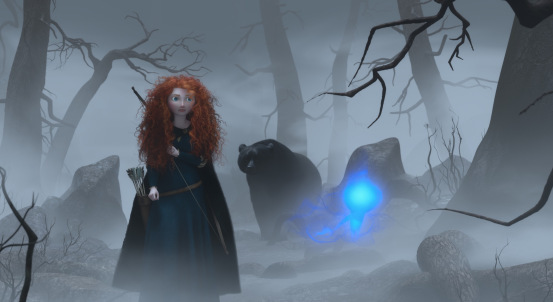 We expect great things from Pixar and Brave certainly delivers on all counts. We all know that the Pixar Studios attention to detail is amazing. It is difficult to believe at times that this is animation. You get lost in the Scottish landscape and can completely believe that it is real. But it doesn’t matter how great the visuals are if the story doesn’t captivate you too. And you will have no worries on this count with Brave. Our new Disney Princess is a heroine for our modern times. Merida wants to change her fate – she does not want to accept that she should marry so young to someone whom she does not love. 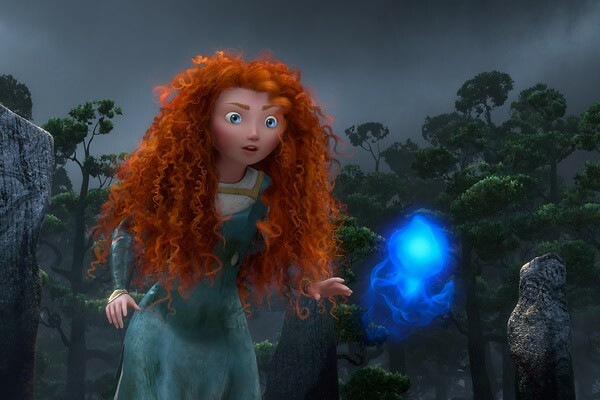 Merida is the exact opposite of her mother Queen Elinor who has put duty before personal choices all of her life. This makes for a rather difficult mother daughter relationship! 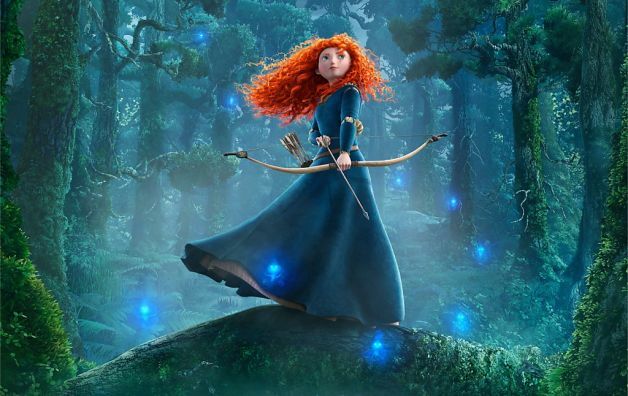 The classic story of rebellion Merida runs away from the Kingdom to try to change her own fate. Of course this does not exactly go right at first and she finds herself hurting her mother in a way she never dreamed was possible. Of course this is Disney and everything is absolutely fine in the end. Princess Merida and her mother learn that they are not so different after all and all is well in the Kingdom. There is still a Happily Ever After it is just rather different to the more traditional Disney Princess story! When I buy a DVD I always want to see that there are lots of extra features on it too. And Brave (Five-Disc Ultimate Collector’s Edition: Blu-ray 3D / Blu-ray / DVD + Digital Copy) certainly has some fabulous extra features to keep me happy! There are 5 Discs in the Pack and there is plenty to keep even this Disney Pixar fan fanatic happy! The Collectors edition features the Blu ray, Blu ray 3D, DVD and Digital Copy of the movie. You also get the Blu ray, 3D and DVD version of the Pixar Short La Luna. I admit I had to watch this a couple of times to really appreciate it, but now La Luna is one of my favorites. The Legend of Mordu is also a new short which is included with the pack. In our house the behind the scenes and making of the movies special features are always the ones that count. And the Brave (Five-Disc Ultimate Collector’s Edition: Blu-ray 3D / Blu-ray / DVD + Digital Copy) is packed with those! I haven’t had the chance to watch any of them yet but am looking forward to learning even more about the creation of the movie. If you do not want the 3D version then you have a choice of the Brave (Three-Disc Collector’s Edition: Blu-ray / DVD) at just $22.99 and the Brave DVD which is just the movie DVD for $16.99. Let’s face it you almost pay that for a movie ticket these days! 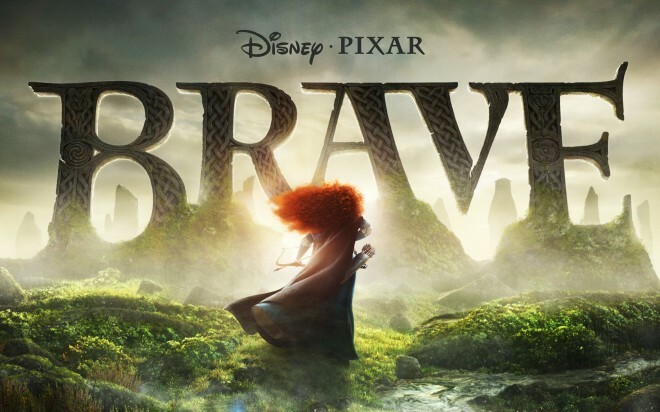 Disney Pixar Brave is one of the stand out family movies for 2012. ThisBrave (Five-Disc Ultimate Collector’s Edition: Blu-ray 3D / Blu-ray / DVD + Digital Copy) is such fabulous value at $24.99 this surely has to be on everyones must have list! Great Sales Today at bTrendie & New Shoppers Get $10!!! Get a FREE Personalized Greeting Card + FREE Shipping from Cardstore.com – Today Only!